Picture an outdoor concert spanning multiple football fields, packed with hipster music fans (who may or may not be intoxicated), soaking up the live music screaming out of multiple stages. Now picture bringing you precious children into this scene. Sounds crazy, right? As I grabbed my twin three-year-old girls’ hands before we launched ourselves across that field, I wondered if I was, in fact, crazy. 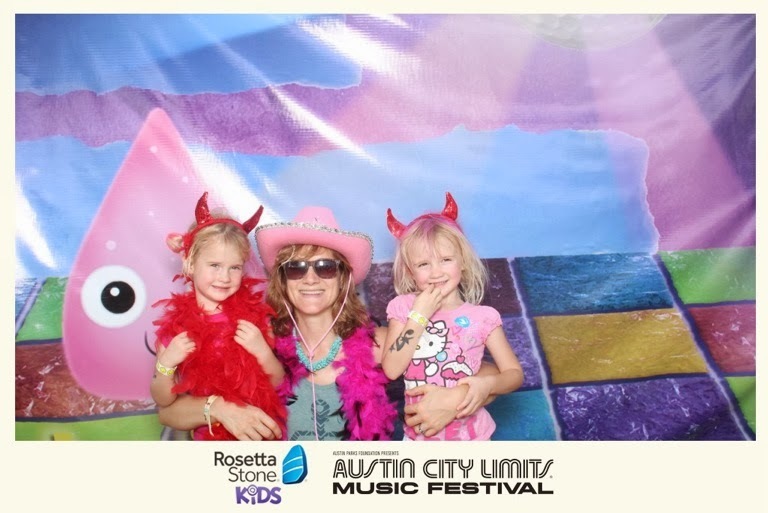 But once we made it across the field intact, we found ourselves in the safe space that is Austin Kiddie Limits at the Austin City Limits Music Festival. 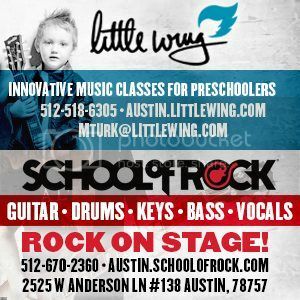 Only in Austin would they remember to include children in the fine art of live music appreciation. When the sun burned off the rain clouds that Saturday of the second weekend of ACL, it rose to a muggy 90 degrees. 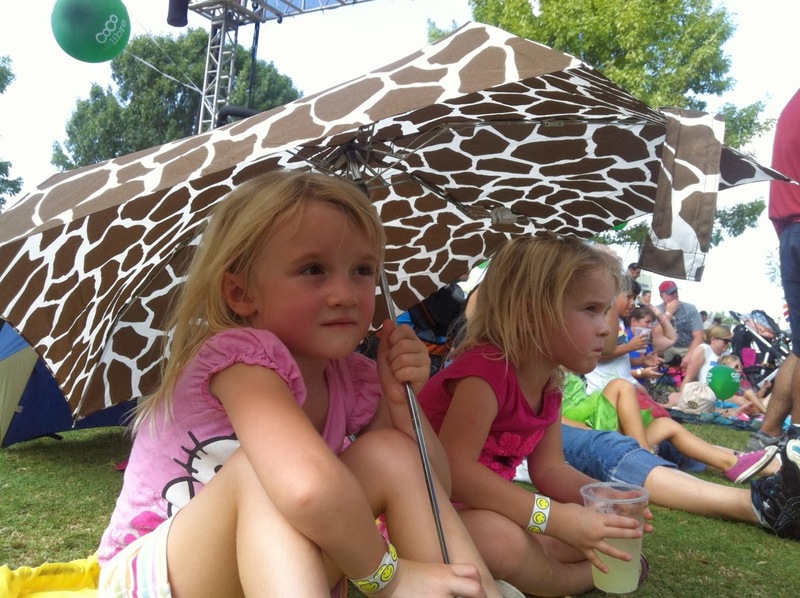 We found our way to the kids’ outdoor stage and settled in under the shade of an umbrella, which I was grateful I had thrown in the bag at the last minute. 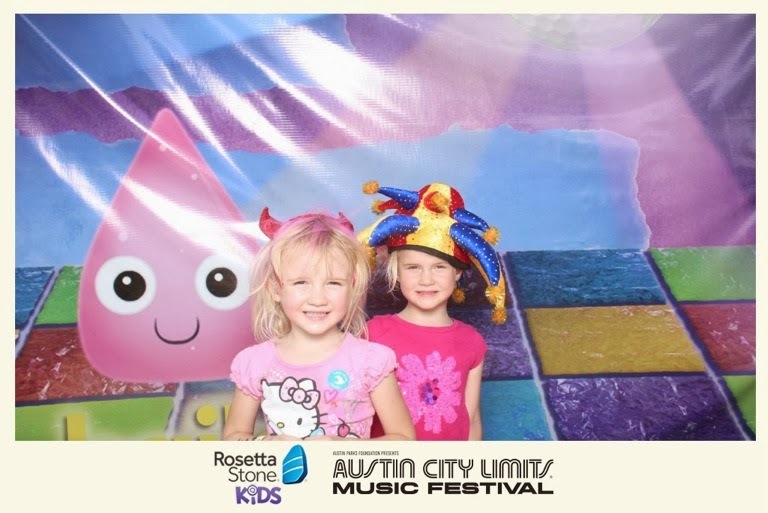 The girls enjoyed The Ohmies, Wiggles-like performers who sing and dance in costume. I wished we had made it in time for one of the adult-child crossover artists, but c’est la vie with kids. 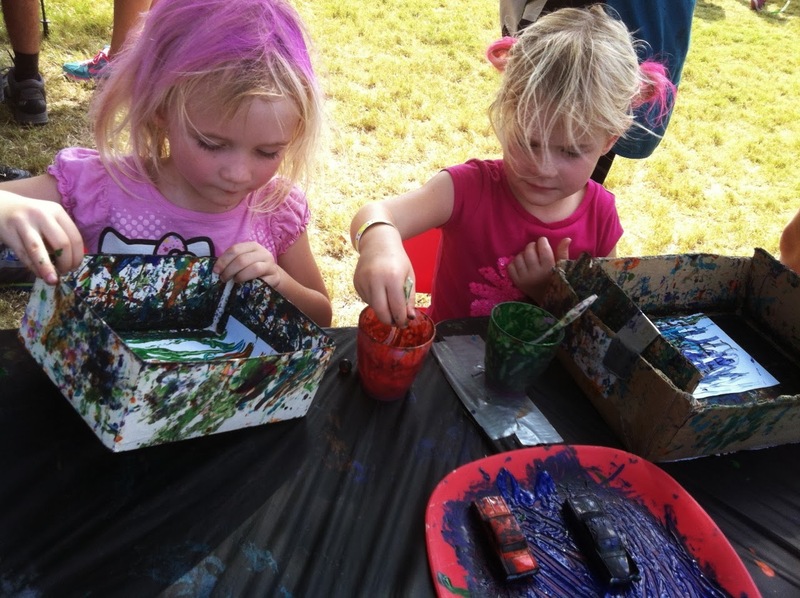 Then the girls dove into the Abrakadoodle art station, where the helpful guides showed them how to use a matchbox car and a marble dipped in paint to create swirls of lines inside a shoe box. Their pieces got smeared while rolled up in my backpack, but it’s the experience that counts, right? One of my daughters spotted a girl with pink hair, and that was all I heard about until we found the Rock Star Hairdos makeover booth (put on by Avant SalonStudioSpa). Once her hair was styled and sprayed pink, she adopted a punk-rock attitude–complete with tongue sticking out while posing–that I’ve never seen in her before. They poked their colorful heads in at the School of Rock instrument petting zoo next door, where you could play drums or electric guitar, but it was too loud for my crew. There was also a music class going on, but with all the heat, noise and people, my girls didn’t have the attention span to join in (same experience with DrumZone’s percussion corner). To complete their rock and roll look, we stood in a long line in the blazing sun waiting for a music note to be spray-painted on each of their arms. My suggestion to ACL for next year: bring more shade, or more tattoo artists. (I wish there had been physical activities for the kids to do while the parents patiently held the spot in line. I ended up promising snow cones to keep my kids by my side.) Luckily, the Rosetta Stone photo booth was right next door, so we got a great picture taken to memorialize the day. Another thing on my wish list: food and drink within Kiddie Limits. We had free lemonade thanks to Alex’s Lemonade Stand, but the food vendors were located outside the kiddie fence. It may not have seemed too far for an adult to walk when they set it up; next year I’ll lend them my kids’ sweaty hands so they can see how long it would take to push through that crowd with hot, hungry, tired preschoolers. 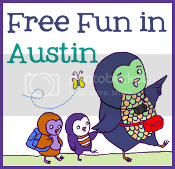 If you’re going to Austin Kiddie Limits 2014, don’t forget to bring: sunscreen and/or hats, a foldable umbrella or two and a stroller. I didn’t bring a stroller because we don’t use one much anymore, but it would have made all the difference crossing that field. Feed them well before you go or get food at the vendors before you enter Kiddie Limits. If your children get easily overwhelmed by crowds or loud noises, consider going when it first opens and leaving early. And don’t miss my girls’ favorite part–-taking a ride through the city in a pedicab. Next year, let’s all agree to meet at the entrance and form a parents/kids’ conga line across the field. We’ll beat those hipsters yet. Virginia Woodruff founded the website Great Moments in Parenting, where parents share the agony and the ecstasy of life with kids. She lives in Austin, TX with her husband and three kids. >> Posted by Nicole B.